PT Telekomunikasi Indonesia Tbk - Telkom Indonesia (IDX:TLKM) or known as "Telkom Group/Telkom" is an Indonesian state-owned telecommunication services company. Together with its 11 direct-subsidiaries, Telkom Group engaged in the field of integrated telecommunication services and network in Indonesia and abroad. Its business include fixed wire line connections, fixed wireless connections, mobile communications services, networking and interconnection services and Internet and data communication services. Telkom Group also provides various information, media and edutainment services, including managed services based on cloud and server, e-Commerce, e-Payment services and IT enabler, and other portal services. Telkom Group is majority owned by the Government of Indonesia. At present, the ownership of Telkom Group comprise of The Government of the Republic of Indonesia (52.09%), and Public (47.91%). 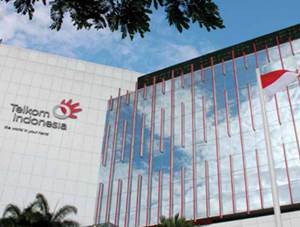 Based in Bandung West Java, Telkom Group now has 7 regional division offices, 58 telecommunication areas and 572 Plasa Telkom offices spread across Indonesia. In the period of 2016 (ended in 31 December 2016), PT Telekomunikasi Indonesia Tbk achieved positive financial performance. According to PT Telekomunikasi Indonesia Tbk Annual Report 2016 as quoted by JobsCDC.com, Telkom Group registered total revenue of Rp116,333 billion in 2016. This reflected an 13.53% increase from Rp102,470 billion in 2015. Total profit for the year 2016 amounted to Rp29,172 billion, which represented an increase of 25.11% over total profit for the year recorded in 2015 of Rp23,317 billion. Not older than 24 years of age (S1 / D4) and 27 years of age (S2) as of 1 June 2017. Minimum GPA of S1 / D4 = 3.00, S2 = 3.50. Attach a TOEFL Certificate with minimum score of 475 (S1 / D4) and 525 (S2). Willing to be placed in the working area of PT Telkom throughout Indonesia. Education major : Telecommunication Engineering, Electrical Engineering, Industrial Engineering, Psychology (special for S2), Informatics Engineering/Information System, Statistics, Accounting, Management, Business Administration, Commerce Administration, Economics Development, Law, Visual Communication Design, Communication Studies, Physics Engineering, Mathematics. JobsCDC.com now available on android device. Download now on Google Play here. Please be aware of recruitment fraud. The entire stage of this selection process is free of charge. PT Telekomunikasi Indonesia Tbk - Great People Trainee Program Telkom Group May 2017 will never ask for fees or upfront payments for any purposes during the recruitment process such as transportation and accommodation.